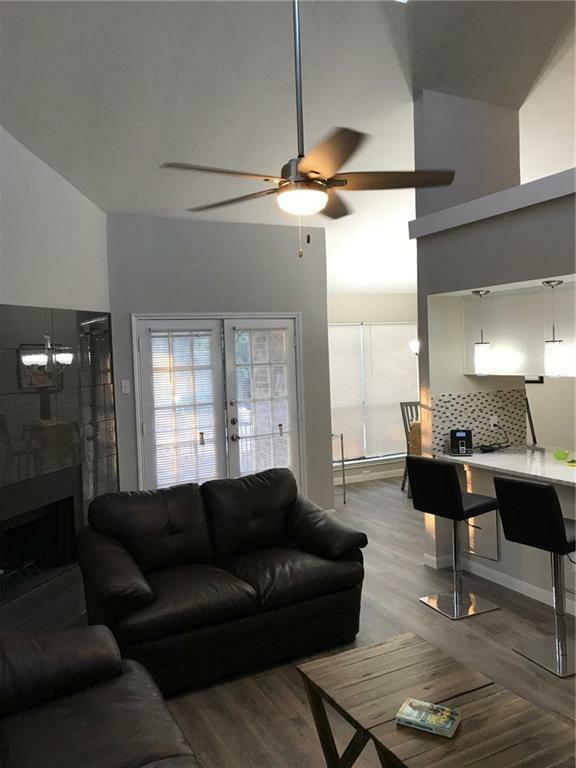 Second floor vaulted 2 story condo. 20+ ft ceilings. UNIQUE! Extra little living place at top of ladder inside unit ! 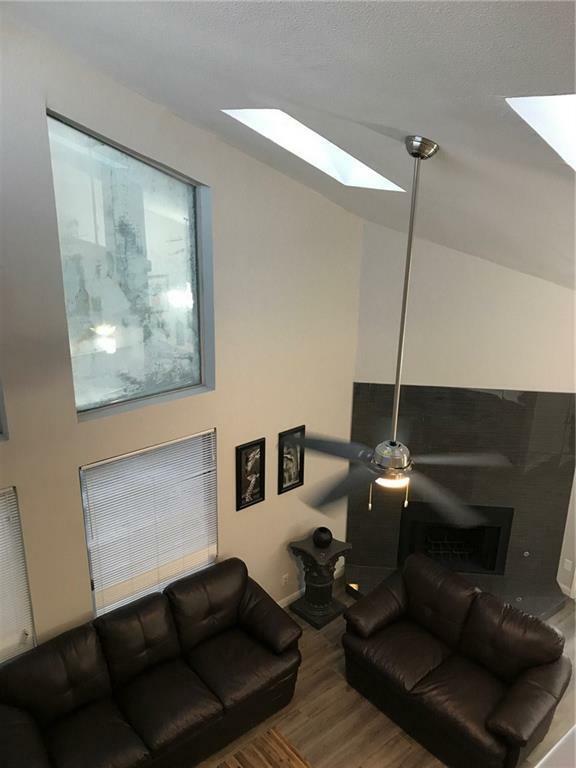 3 skylights, TONS of natural All redone in the last year: fireplace with designer tile, high quality engineered wood flooring and tile throughout. 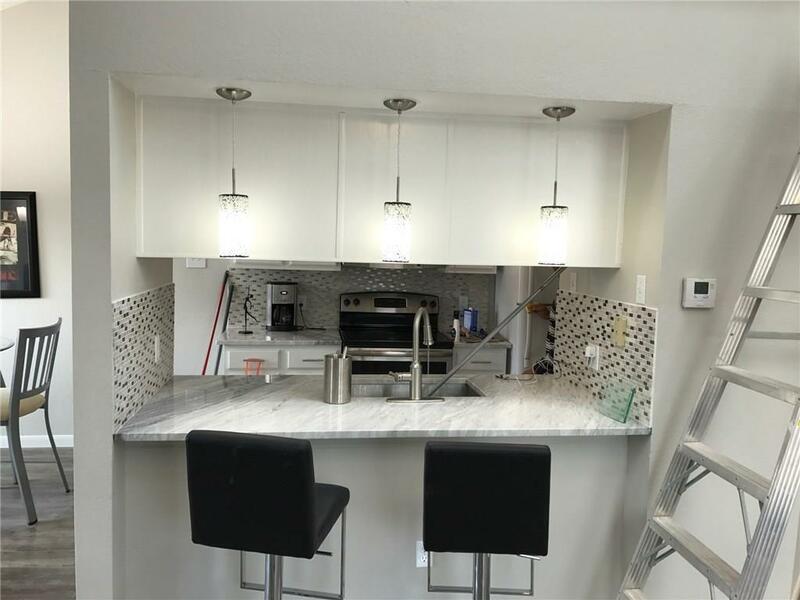 Carrera marble counter top in kitchen, refinished wood cabinets, stylish hardware, new (2017) stove, fridge, washer and dryer (staying with the property ! 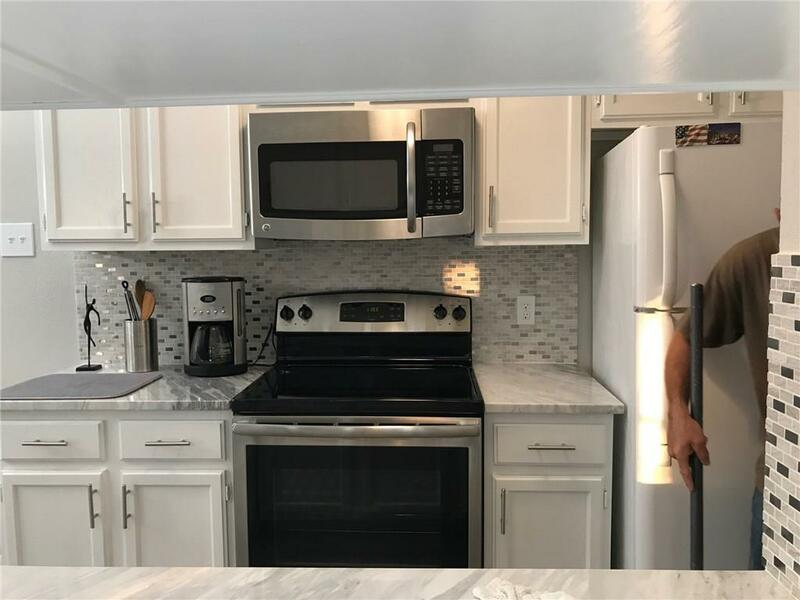 ), microwave. Bathroom totally redone, glass panel for shower. Covered parking, first space ! Balcony. Offered by Michael Lukowski of Mission Real Estate Group.